A humble dog with no owner roams the streets everyday looking for food. One starving night, He discovered a flyer that read "Free Food” Overly excited, he immediately heads that direction to begin his journey to find all the grub he can eat. What he doesn't know is that EP-Technologies has strange secrets in plan. 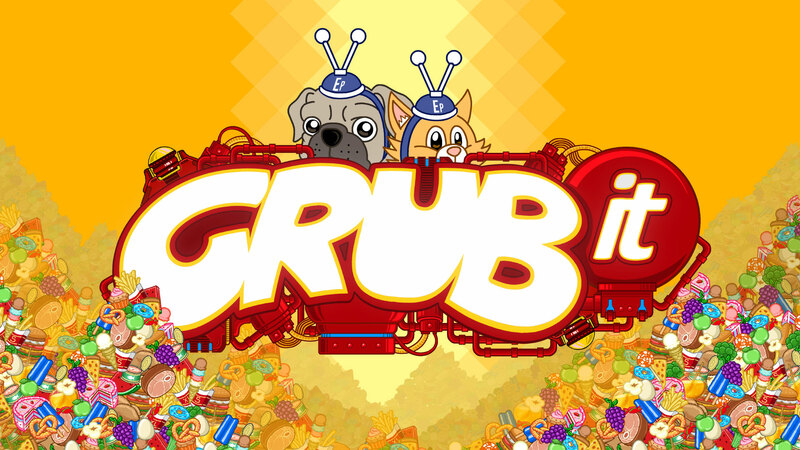 Help him eat his way out of this madness and begin your quest to GRUBIT. * Interactive tutorial to teach the most important concepts of the game even to beginners. * 9 Levels in Single Player. * Marathon mode. Infinite mode. The goal is to eat as much as the player can, in order to climb up the leaderboards. * High Quality Animations, Characters and User Interfaces. * 7 different levels on Multiplayer. * Choose between 4 characters with different powerups in multiplayer. * Online leaderboards. Be prepared to eat as much as needed to be the MVP. The way to success lies on three words : Eat, eat, eat.